We're back with a new episode. For your listening pleasure Episode 15 : April 1989. This month we're looking at the books released in April of 1989 (as the title may suggest). First book of the month, Manhunter 14. 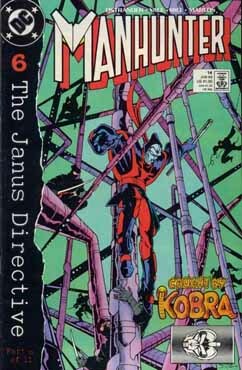 Manhunter gets caught up in The Janus Directive. For more in depth coverage of the Janus Directive, watch for upcoming episodes of Task Force X. 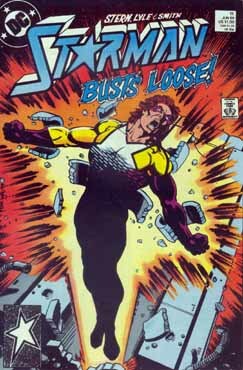 Title: "A Matter of Life and Death"
This month Starman faces... The Power Elite... again. Then after that, we look at Cop-A-Comics Comic Rack. You can Subscribe to our feed on Apple Podcasts or Stitcher Radio. You can also subscribe to The Headcast Network for all of our Headcasts under one convenient feed!